Contribution to Morphological, Syntactic and Semantic Studies in Russian / Eds. : Vladimir Belyakov and Christine Bracquenier. Tulouse: Presses Universitaires du Midi, 2017. 246 p.
Bazanov P.N. «Petropol Tacitus» in Exile. The Life and Work of the Russian Historian Nikolay Ulyanov. St.-Petersburg: Vladimir Dal, 2018. 511 p.
Kulagina P.K. Communicative Strategies in German Privat Correspondence of the 14–15th centuries. Moscow. MAKS Press. 2015. 108 p.
On Dominant and Determinant Factors within the Rise of Russian Literature Study in the USA during the 1960–1970s. Mukhortov D.S. Idioms Time! A Handbook of English Idioms. Moscow. LENAND Publ. 2018. 200 p.
M.V. Vsevolodova, O.V. Kukushkina, A.A. Polikarpov. Russian prepositions and prepositional type funds. Materials for the functional-grammatical description of real use. Proc. 1: Introduction into the objective grammar and lexicography of prepositional units of Russian language. Moscow: Knizhnyj dom «LIBROKOM», 2014. 304 p.
The Program is an Academic Discipline "The Syntax of the Russian Language as a Foreign Language"
Gogol in Memoirs, Diaries and Letters of His Contemporaries. Complete Systematic Corpus of The Documents: Scientific Critical Edition: In 3 vol. / Ed. by I. A. Vinogradov. M.: IWL RAS, 2011–2013. V. 1. 904 p.; V. 2. 1032 p.; V. 3. 1168 p.
Oktyabrskaya O.S. Formation and Development of the Genre System in the Russian Children’s Prose of 1920–50-ies: Monograph. Moscow. MAKS Press. 2016. 248 p.
Nikolay Nikolajevich Ge. Person and Painter (1831–1894). Dash vs. Colon – Sensibility vs. Sense? Theatrum mortis humanae tripartitum (1682) de Johann Weichard Valvasor: un livre d'emblèmes? Look into a Camera: Is this an Alienation / Presence Effect of? The Community of the Yugoslav peoples: a Reality or a Phantom? Wybitni pisarze współczesnej literatury rosyjskiej Michaił Szyszkin / Praca zbiorowa pod redakcją Anny Skotnickiej i Janusza Świeżego. Kraków: Wydawnictwo «scriptum», 2017. 509 s.
What does ΔΡIΜΙΕΣ stand for? Dolgova S.R., Mikhaylova N.I. “The Lands of Moscow, the Native Lands...” A.S. Pushkin and Moscow. Moscow. Veche Publ., 2013. 320 p., ill.
Nailia Baldé, Jayanti Dutta, Ana Carina Prokopyshyn. Dialog – Manual de Russo como Língua Estrangeira para Falantes de Português, nível A1, 2ª ed., Coimbra: Grácio Editor, 2017. Scientific Poetry in European Journals Modernity (1900–1940) / Ed. under the direction of T. Collani et N. Cuny. Paris, 2013. 461 p. (Classiques Garnier, Love collection n° 54). Slovenian literature of the XXth century / Ans. Ed. N.N. Starikova. Moscow: Indrik, 2014. 325 p.
Atlantika: Notes on Historical Poetics. Issue XII / Ans. Ed. N.A. Ganina, N.Yu. Gvozdetskaya, T.A. Mikhailova (ans. ed), O.A. Smirnitskaya, F.B. Uspensky, E.M. Chekalina. Moscow: Moscow University Publishing House, 2013. 256 p.
From the history of Ukrainian culture. Art – Theatre – Music. Brno: Masaryk University, 2014. 281 p., ill.
Natalija Ganina. “Brides of Christ”: Legends and Treatises from the Strasbourg Convent of St. Magdalena. Edition and Study. Berlin / Boston: De Guyter, 2016. 432 p.
Iordanidi S.I. Studies in Russian Нistorical Word-Formation. LAMBERT Academic Publishing, 2018. 122 p.
Golovacheva I.V. Science Fiction and the Fantastics, Poetics and Pragmatics in the Anglo-American Fiction. St.-Petersburg. ID “Petropolis”. 2013. 412 p.
Chekalina E.M. Semantic Aspects of Swedish Grammar: A Systemic-functional and Contrastive-typological Analysis. Moscow. МАКS Press, 2017. 196 p.
Voltaire’s Candide: A Fairy Tale? The Slovenian Language in the Foreign Historical and Cultural Environment and ‘plugging into the language’ (based on the literary pieces of Miroslav Košuta and Marko Kravos and the novel by Lojze Kovačič “Childish Things”). Solntseva N. Reputation of a Doll. Moscow. Vodoley. 2017. 176 p.
Archive of Felix and Irina Yusupov: Correspondence / Compiled by Natalia Ganina. Moscow. 2018. 496 p.
Category of the Time as Viewed by Russian Scribes of XVI–XVII c.
Ilyina G.Ya. 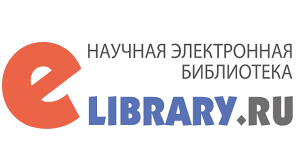 Bibliography of Translations of Croatian Literature into Russian. Moscow: Institute of Slavic Studies of the Russian Academy of Sciences, 2016. 78 p.
Churich Boban. From the Life of Russian Belgrade. Belgrade: Philological Faculty of the Belgrade University. Belpak, 2015. 231 p.
Kunjaev S.S. Nikolai Klyuev. M.: Molodaya Gvardiya, 2014. 647 p.
V.A. Drozdkov. Dum Spiro Spero: About Vadim Shershenevich, and not just about him. Articles. Researches. Publication. M.: Vodoley, 2014. 800 p.
Davydova T.T., Sushilina I.K. The History of Russian Literature of the 20th century: from Impressionism to Postmodernism. Manual. Moscow. 2016. 351 p.
Chronicle of the Life and Work of S.A. Yesenin: In 5 vols. Vol. 5. Book 2 / Comp. by N.I. Shubnikova-Guseva. Moscow: A.M. Gorky Institute of World Literature. RAS, 2018. 1160 p.
Literature of Independent Slovenia: «Transitive» 1990s. Through the Literature: Collection of Articles on the 80th Anniversary of Leonid Genrikhovich Frizman. Kiev. Publishing House Dmitry Burago, 2015. 464 p.
Pautkin A.A. Horizons of a Reading: Historical-Philological Notes and Reflections. Moscow; St.-Petersburg: Nestor-Istoria, 2017. 328 p.
Skopinsky pomyannik. Memoirs of Dmitri Ivanovich Zhuravlev / Prepare text, foreword, comments of G.V. Zykova, E.N. Penskaya; National Research University (HSE). Moscow: HSE Publ., 2015. 384 p.
Perkhin V.V. A.N. Tolstoy and Power. St.-Petersburg. Aleteya Publ. 2017. 240 p.
Ilyushina L.A., Kimyagarova R.S., Bash L.M. The Dictionary Language of Gogol’s Comedy “The Government Inspector” / Ed. T.L. Berkovich. Moscow. MAKS Press. 2016. 808 p.
Does literature need a citizenship? Eliash M. and call. Russian literature XVIII–XXI centuries / Ans. ed. M. Kontrishova. Bratislava: Veda, 2013. 240 p.